*Bow down to my crappy editing skills. 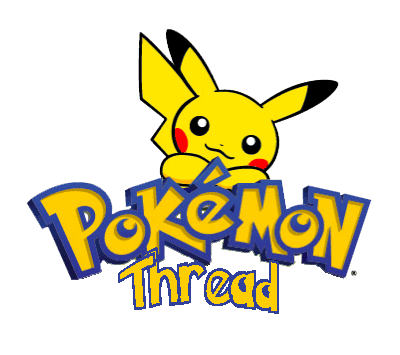 Welcome to the new release of the Pokemon thread! The original one got lost somewhere (The original original) so some of you may have forgotten what I wrote, I know I did. But I know it was somewhere along the lines of wanting to talk about this franchise after getting into Pokemon Platinum. So some of you may be wondering "Geeze Frostie, why are you remaking this thread?!" Well random anonymous person, The answer to that is 42. What's that? That isn't all that helpful? Oops I must've been thinking about something else, my mistake. What I meant to say was I remade this thread because I wanted to add some new features such as.. Schedules for possible tournaments within the GAC and schedules for trades! Plus, new user ranks/badges! You can set up your own rules for battles. For time, put it in UTC zone (Click here) and the day it's taking place. I'll host a couple tourneys with specific rules involving fair play and intolerance towards cheat devices. Most of them based on strategies. And create a tournament chart determining who's battling whom if whom wins depending on the number of people battling. And try to exchange Wi-fi codes. Reward: a selection of shinies to choose from. Welcome to my own little request shop! Here you'll be able to request a customised Pokemon from me, which I will then make and distribute to you over the internet. This request shop is for making legal and illegal Pokemon for your DS games. Using Pokegen, I will make such a Pokemon and then distribute it to you over the internet, so you can collect it and use it in your game. You can use customised Pokemon to get your dream team ready for the next tournament, or to try out move sets without wasting money, BP or TMs on your Pokemon. You can also request a copy of an event Pokemon you might have missed. Who wants a Genesect? Meloetta? Maybe you missed your one chance to catch that Legendary and don't want to take on the Elite 4 to make it respawn. Since these Pokemon are customised, I can control their items and shiny status. You want a shiny Genesect holding a Master ball? Done. Or maybe you just lost your last Pokerus host and need a new strain of that wonderful virus. You want to fill out your Pokedex but nobody will trade with you? I'm here. Customised Pokemon are free, meaning that you don't have to offer a Pokemon in return. So what are you waiting for? Fill the form and give me a buzz! 1. Fill out the form provided. If there are fields you have not paid any thought to, please do, or just say 'whatever' or 'surprise me'. Alternatively, you can request a copy of an event Pokemon. 2. You will need to change the primary DNS of your Nintendo DS system to one of the DNSs provided. Which one you use will depend on which method of distribution I use. If you don't know how to change your DNS, instructions can be found on this page. 3. When your request is made and uploaded, and you have changed your DNS, you will need to access your game's GTS with a full party. This will initiate the download, and add the Pokemon to your box. 4. If the Pokemon does not appear in your box, you should try again, but with an open space in your party. This will add the Pokemon to your party, but it may have status problems, which I will list below. 1. The Pokemon may be poisoned, which can be cured by simple means. 2. The Pokemon may be inside a Ball Capsule which cannot be removed by the conventional method. Putting the Pokemon in daycare will remove the Ball Capsule. 3. The Pokemon's stats may be set to zero. If any stat is set to zero, then give the Pokemon an EV increasing item, like a HP Up. If the Pokemon's EVs total 510 and the vitamin does not work, give the Pokemon an EV reducing berry. Those berries are as follows: Pomeg, Kelpsy, Qualot, Hondew, Grepa, Tamato. Doing either will refresh the EVs and cause the game to recalculate them, restoring the stats. NOTE: If the Pokemon's stats are set to zero, do not give that Pokemon a Rare Candy. This will cause it to revert to level 1. Raising the level through battling will not work either, because the Pokemon's health will be set to zero, making it fainted. Game to be sent to: It is pretty important that I set a correct target game. Nickname: Specify if you want that in all caps for 4th generation games. Form: For special Pokemon like Pichu, Rotom, Gastrodon, the genies in gen 5, etc, that have alternate forms outside of battle. Shiny status: Either yes or no. Pokerus status: Either 'never had' or 'has Pokerus'. If you have nothing in mind for this, describe the basic idea. If you can't do that, then I will take a set from Serebii.net based on the moveset. Again, if you have nothing in mind, I'll make it up. Bear in mind that the Hidden power type is calculated off these numbers. If the IV spread is more important, then I'll focus on that, though you may not get the Hidden power you wanted. Pokeball: If not specified, I will make it a regular Pokeball. D/P/Pt games can not have Apricorn Pokeballs. Fateful encounter: This means that the Pokemon triggers an in-game event, like Genesect, Meloetta, Celebi, Arceus, etc. Will only work if the specified Pokemon actually has an in-game event to trigger, but you might want it just in case your Pokemon does. Level met: Additional conditions regarding the encounter may be discussed. NOTE: I set this Ditto's country of origin to Japan. For those of you who own non-Japanese games, this means that breeding Pokemon with this Ditto will dramatically increase the chance that the hatched Pokemon will be shiny (Masuda method). The different trainer ID will also decrease the time it takes for an egg to be produced. I also took the liberty of making it perfect for competitive play, IV, EV, ability and item-wise. I made the encounter fateful just in case it does anything special. NOTE: Since I could not find a downloadable version of the 12th movie give-away Meloetta, I made this to match information as best as possible. The nature is supposed to be random, so you may request that it be randomised before distributed, or changed to preference. I set the EVs to 0, and randomised the IVs and Hidden Power type. If anyone has one of these Pokemon from a download, I would most appreciate it if you would offer information, particularly regarding original stats. Regardless, this Pokemon should activate the Relic Song in-game event. OK, now I need to get my home wi-fi fixed. As for your Pachirisu, I might be able to make one online and send it to you. 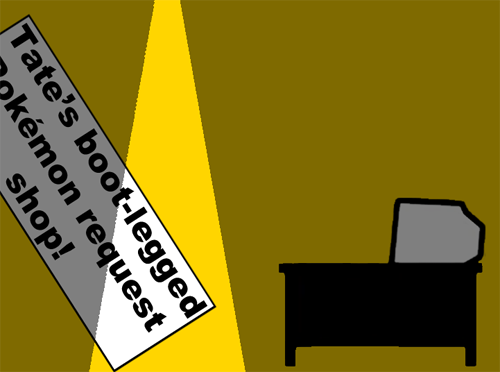 You won't need to trade anything back (which is good, because I won't be able to give anything :\), and it only requires you to change your DSs primary DNS to something specific (instructions were left on the last page or two of the previous thread). I'd rather have a legit one. It would be legit. Provided I make it right, it won't contain any hacked data or illegal moves, abilities, EVs, IVs, what have you. Eh.. Actually, how about something holding an item such as the Shiny Charm? So that it's be easier for me to MM my Pachirisu. Plus how do you even "make" a pokemon, I'm curious. Absolutely. What game is this Pachirisu for? I actually need a regular pokemon to hold the item, and the item is exclusive to White 2 I think. But since I have my line of Pachirisu in Black, I'm not sure how that's going to work. So I'm just guessing it's for Pokemon White 2. Cool. So, I'll make a shiny Pachirisu holding a Shining Charm, but is there any particular EV spread, level, or nature? If not, I'll go by one from Serebii.net. Not a shiny pachirisu, just a regular one. Not anything special and particular, I just specifically would like the item. Not a shiny one? Not even if I make one in addition to the normal one? Well, a shiny eevee would be nice. After that, go into the GTS with a full party. Just to be safe, make sure you save beforehand, in case something does go wrong. I'll start on the Eevee. All it said was "Oshawott was not traded"
Oh, I know, I used Pokemon Black instead of White 2. Try using White 2. If nothing happens, I'll upload the Pachirisu again. Just to be sure, you changed your DNS? It's interesting to see a thread being suddenly remade like this, but I'll bite. My friend code for White 2 is 3697 8086 9731. I'll add your friend code to the OP, Kitty. Even though I can't get onto wi-fi at the moment, I think that will change soon enough. Changes have been made to the online system I've been trying to use to transfer Pokemon to people's games, so trying to access it again may yield better results. In any case, the Pachirisu and Eevee are still sitting in Frostie's transfer waiting list until they are either deleted or successfully transferred, and I have added a transfer waiting list for Kitty and put two Pokemon in it as well (for White 2). Merry Christmas, if and when you get them.